A Contract for Difference (CFD) refers to a contract that enables two parties to enter into an agreement to trade on financial instrumentsMarketable SecuritiesMarketable securities are unrestricted short-term financial instruments that are issued either for equity securities or for debt securities of a publicly listed company. The issuing company creates these instruments for the express purpose of raising funds to further finance business activities and expansion. based on the price difference between the entry prices and closing prices. If the closing trade price is higher than the opening price, then the seller will pay the buyer the difference, and that will be the buyer’s profit. The opposite is also true. That is, if the current asset price is lower at the exit price than the value at the contract’s opening, then the seller, rather than the buyer, will benefit from the difference. A Contract for Difference gives traders an opportunity to leverage their trading by only having to put up a small margin deposit to hold a trading position. It also gives them substantial flexibility and opportunity. For instance, there are no restrictions regarding the timing of the entry or exit and no restrictions of time over the period of exchange. There is also no restriction on entering a trade buying or selling short. Unlike stocks, bonds, and other financial instruments where traders must physically own of the securities, CFD’s traders don’t hold any tangible asset. Instead, they trade on margin with units that are attached to a given security’s price depending on the market value of the security in question. A CFD is effectively the right to speculate on changes in price of a security without having to actually purchase the security. The name of this type of investment basically explains what it is – a contract designed to profit from the difference in the price of a security between the opening and closing of the contract. Imagine Joe is a trader. In recent days, he’s been speculating on oil prices. Since oil prices are highly volatile, Joe understands the risks involved in opening a position in a such an asset. However, he thinks he stands a chance to make some profits from the trade. With the help of his unique recipe, he’s noticed a given favorable trend in oil prices. Due to his keen analysis, he’s confident that the prices will rise by a margin of 12% per barrel in the next year. Let’s say the current price is $50 per barrel. According to Joe’s speculation, the closing price at year end will be $56. So, he approaches his CFD brokers who buy him 25,000 units. Therefore, Joe expects in a year’s time, his investment will grow to (25,000 units * $56) $1.4 million, making him (25,000 units * $56 – 25,000 * $50 or $1.4 million – $1,2 million) $200,000. Unfortunately, the market hits a dip, and the prices start dropping. Before he suffers more losses; Joe decides to exit at $48 per barrel. In this case, Joe will only lose (25,000 units * $50 – 25,000 units * $48 or $1.25 million – $1,2 million) $50,000. A trader stands a chance to either lose or gain depending on market trends. Also, to buy and sell CFD units, the trader doesn’t deal with limitations of fixed time for entry and exits. Going Long – When traders open a contract for difference position in anticipation of a price increase, they hope the underlying asset price will rise. For example, in the case of Joe, he expected that oil prices would increase. So we can say he traded on the long side. Going Short – Using a contract for difference, traders can open a sell position based on anticipating a price decrease in the underlying asset. Trading from the sell side is known as going short. In CFDs contracts, traders don’t need to deposit the full value of a security to open a position. Instead, they can just deposit a portion of the total amount. The deposit is known as “margin”. This makes CFDs a leveraged investment product. Leveraged investments amplify the effects (gains or losses) of price changesw in the underlying security for investors. Spread – The spread is the difference between the bid and ask prices for a security. When buy, traders must pay the slightly higher ask price, and when selling they must accept the slightly lower bid price. The spread therefore represents a transaction cost to the trader, since the difference between the bid and ask prices must be subtracted from the overall profit or added to the overall loss. Holding costs – These are charges over the open positions a trader may incur at the end of the trading day. They are positive or negative charges depending on the direction of the spread. Commission charges – These are commissions that CFD brokers often charge for the trading of shares. Market data fees – These are also broker-related costs. They are charges for exposure to CFD trading services. Because CFDs are unique and often come with favorable margins, they attract many brokers across the world. So, trading in CFDs should not be a challenge to any trader who is looking forward to investing in CFDs. 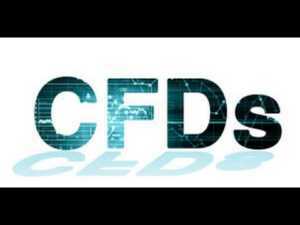 CFD trades on the fast-moving global financial markets. Therefore, traders get what is called direct market access (DMA), which gives them an opportunity to trade globally. Unlike other types of instruments that offer only a single opportunity, CFDs present a wide range of assets. They include global indices, sectors, currencies, stocks, and commodities. With CFDs, traders can benefit from either the rising or falling of asset prices. Traders in CFDs don’t need to invest the full amount. They only need to open buying or selling position on margins. Strike PriceStrike PriceThe strike price is the price at which the holder of the option can exercise the option to buy or sell an underlying security, depending on whether they hold a call option or put option. An option is a contract with the right to exercise the contract at a specific price, which is known as the strike price.